Notes: Second ever headlining show and second show in Lancaster. 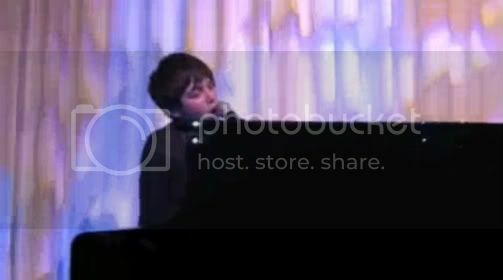 Also Greyson’s first time performing “Edge of Glory” live. A quick signing session was held after the show. 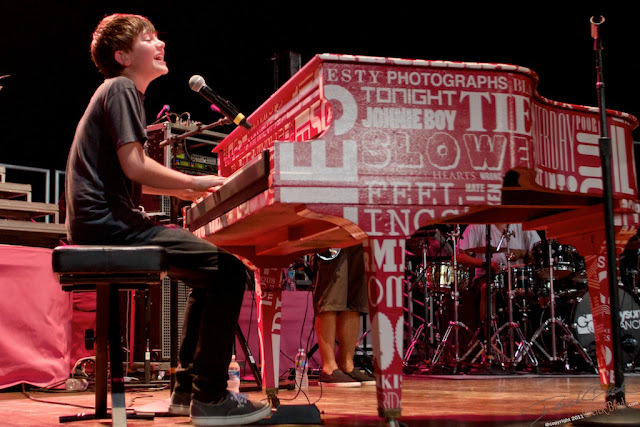 Notes: Greyson and his red piano showed up to once again open for Allstar Weekend at the Wisconsin State Fair. He performed for a crowd of thousands, which included as many adults as young people. 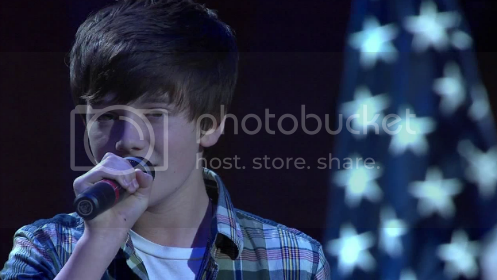 Unfortunately, it was too light when Greyson took the stage for his image to show up well on the giant projection screens. While the picture showed up a wee bit better towards the end of his performance, it would have been great if the folks in the back had a better view of him up close and personal throughout the show. 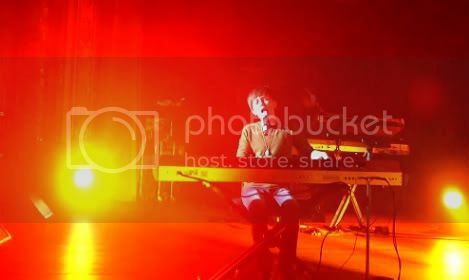 Notes: Greyson and his band took a quick 1,000 mile detour from opening for Miranda Cosgrove on the east coast during the Dancing Crazy tour to open for Allstar Weekend in Janesville, WI. It was a nice sized crowd for a small city like Janesville. 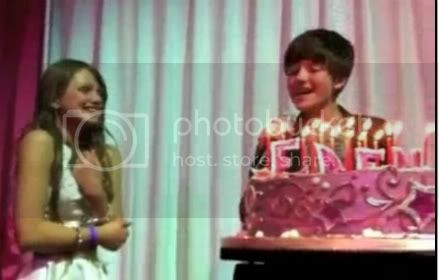 There were lots of Greyson fans in attendance. The line for his autograph would have almost stretched 3/4 the length of a football field. The line never seemed to get any shorter; and unfortunately, he had to stop signing when Allstar Weekend started their set. 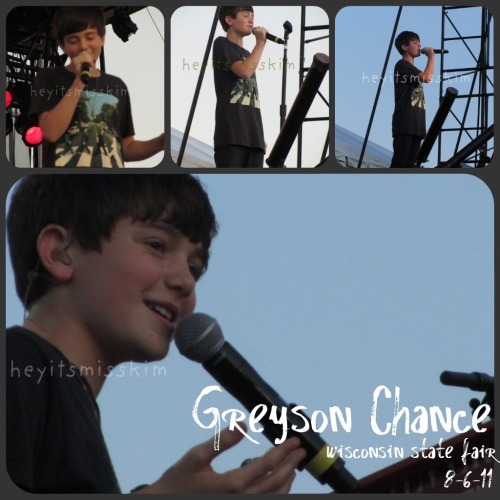 Greyson had to fly out of Janesville for a show in Virginia the next day. 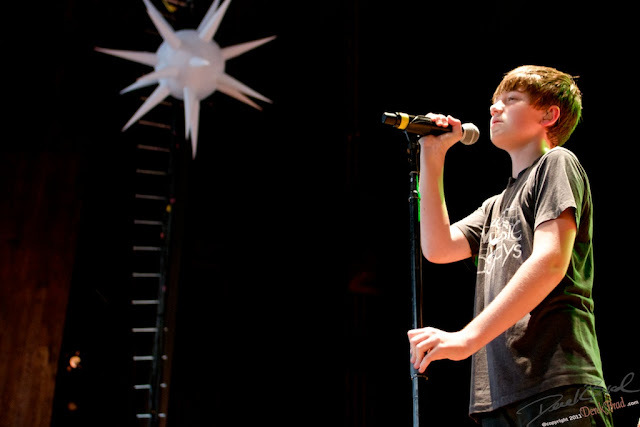 Notes: Greyson’s first show in Philadelphia. He visited Children’s Hospital earlier that day. 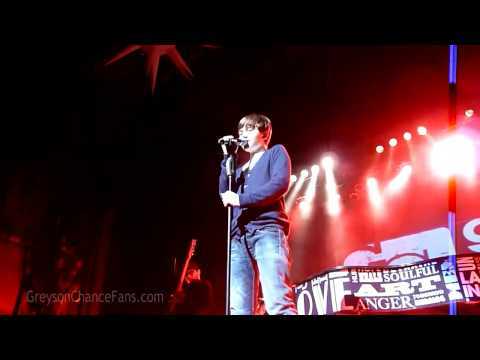 One of his last performances on his leg of the Dancing Crazy Tour with Miranda Cosgrove. Notes: After finishing the filming of the music video for his second single, “Unfriend You,” Greyson returned home to Oklahoma for a small break before heading back out on the road again for some summer shows. 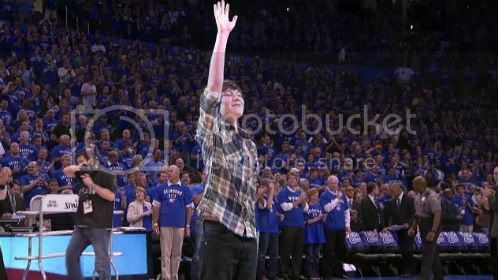 Prior to Game 4 of the Western Conference Finals between the Dallas Mavericks and the Oklahoma City Thunder, Greyson performed The National Anthem for the first time in front of a sold out arena. 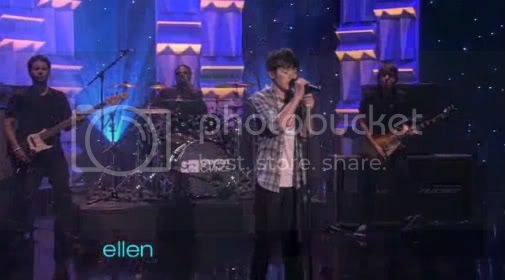 Notes: In a performance that was taped the previous Thursday, Greyson returned to The Ellen DeGeneres Show to perform for the fifth time and promote the release of his second single, “Unfriend You.” After her performance, Ellen and Greyson discussed his desire to be on Glee and he announced that his debut album Hold on ‘Til the Night will be released on August 2, 2011. Notes: Before returning home to Oklahoma for a short break before embarking on a summer tour, Greyson performed a solo acoustic set at a private function in celebration of Eden’s Bat Mitzvah. This was the first performance of “Broken Hearts” since the end of the Dancing Crazy tour earlier in the year. The setlist for this event may be incomplete or out of order. 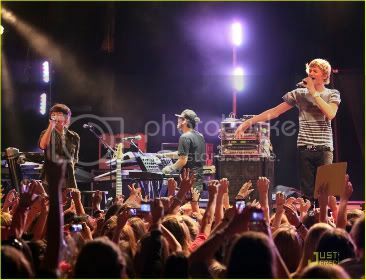 Notes: Greyson and Cody concluded the Waiting4U Tour in Portland, Oregon. 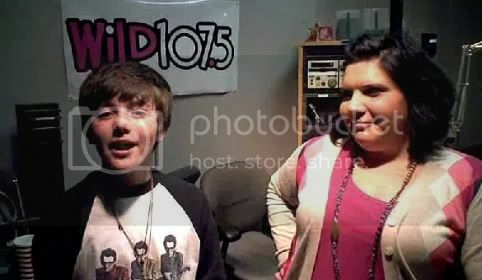 Notes: Prior to the final show of the Waiting4U Tour, Greyson stopped by Wild 107.5 in Portland to talk with the morning show host, Kristina and to perform Empire State of Mind solo on a keyboard in the studio. 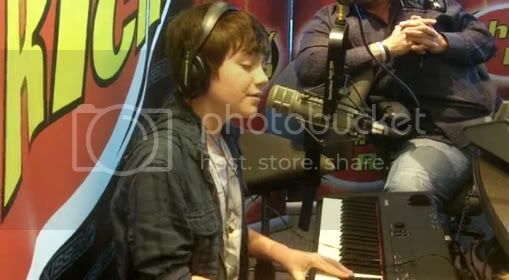 Notes: Prior to the final show of the Waiting4U Tour, Greyson stopped by Z100 Portland to talk with Brett Andrews and perform two songs solo on a keyboard in the studio. 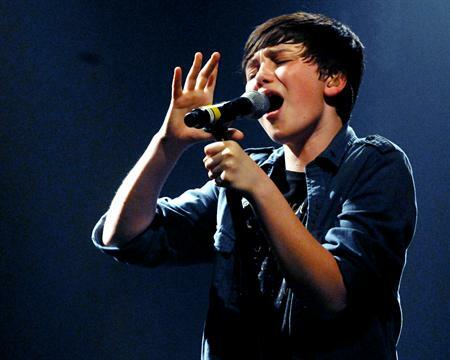 Greyson announced during the interview that he had just finished his seventh grade year of school and that he had once again gotten straight As and that he would be embarking on a summer tour. Notes: Taking a few days off from the Waiting4U Tour, Greyson was back in Los Angeles where he performed at the National Association of Recording Merchandisers’ (NARM) annual convention. Every year, this convention brings together people from all fields of the music business including: music and other entertainment retailers, wholesalers, distributors, record labels, multimedia suppliers, and suppliers of related products and services, as well as individual professionals and educators in the music business field. 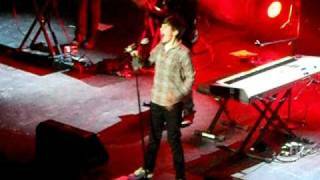 Greyson performed a solo acoustic version of “Waiting Outside the Lines” as a part of Universal Music Group’s (UMGD) 2011 Musical Celebration which is one of the most highly-rated programs of the NARM Conventions. The showcase included 90 minutes of live performances and previews of UMGD’s forthcoming summer and fall releases. 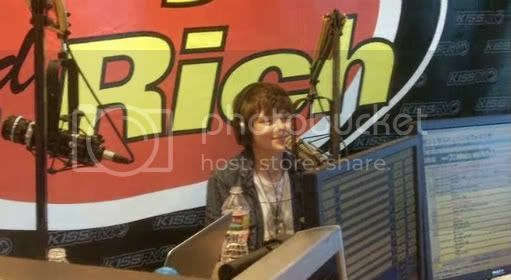 Notes: Following a day off, Greyson was up early to drop by the Johnjay and Rich show on 104.7 KISS-FM. He had been interviewed on the morning show only a few months earlier when the Dancing Crazy Tour rolled through Arizona in late February, but during that visit he didn’t perform. Greyson had promised Johnjay and Rich that he would come back and perform for them, so he was making good on that promise. 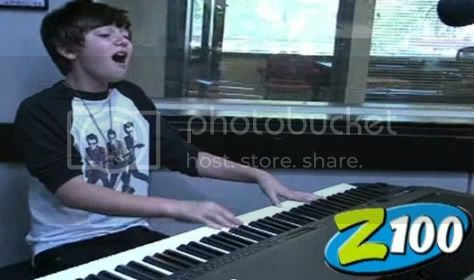 After an interview touching on how Greyson’s maturity, his online schooling and his meetings with Lady Gaga, he performed “Waiting Outside the Lines” on a keyboard in the studio. 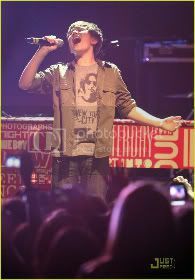 Notes: A day after having to cancel his appearance at the City of Hope Benefit in Los Angeles due to his being sick, Greyson returned to the stage in Dallas, TX. 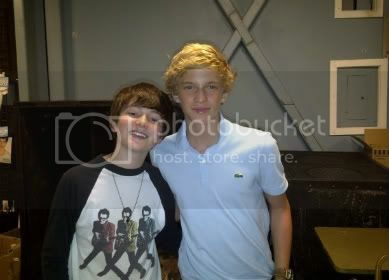 Note: Part of the Waiting4U tour with Cody Simpson. Earlier that morning both artists performed at the 2011 White House Easter Egg Roll for the First Family. 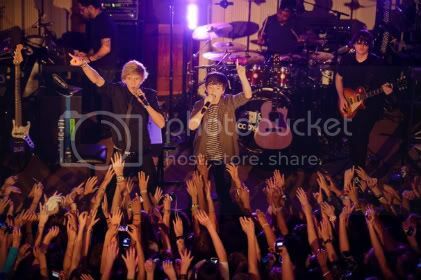 Notes: Greyson and Cody Simpson’s Waiting4U Tour stops at the historic Rave (1926) in Milwaukee, WI. The Rave has three main performance areas, in addition to a couple of smaller ones. They were originally scheduled to perform in the Eagle’s Ballroom which can accommodate a few thousand fans, but were moved to the Rave Hall, which can hold about 1500. The room was about 1/3 full. It had great sound and everyone had an excellent view. 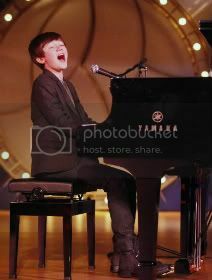 It was very evident that many of the adults who had brought their kids were quite impressed with Greyson’s performance. Greyson tweeted, after he explored “the bowels” of the old building that he thought the place was haunted; and indeed, it has long been said that it is. 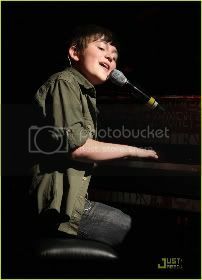 Notes: Greyson’s first show in the Philadelphia area, opening for Miranda Cosgrove on her Dancing Crazy tour. He did a meet and greet after his set. 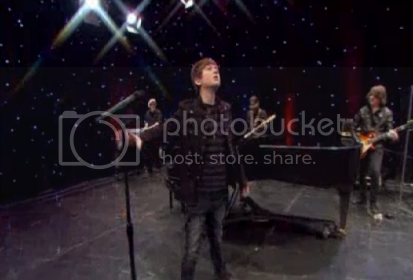 Notes: Prior to playing at the historic Beacon Theatre in New York City, Greyson stopped by the “Second Cup Café” on the CBS Early Show to perform a solo acoustic version of “Waiting Outside the Lines.” After answering a few questions, Greyson went outside to greet a group of fans that had come to see him. 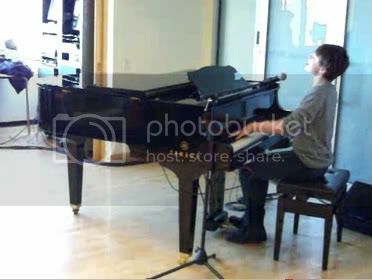 Notes: Greyson played a private set for a company in New York City. 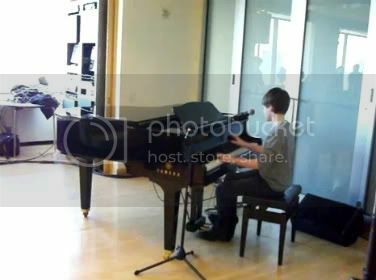 The location of the set is speculative and only based on the fact that a YouTube video by Ezolives described the video as taking place “at my job in NY on 41st and 3rd.” Greyson played the songs solo on piano. The setlist for this event may be incomplete or out of order. Notes: A stop on the Dancing Crazy Tour, Miranda Cosgrove and Greyson played the very modern Rosemont Theatre, which has been renamed the Akoo Theatre. 3,806 tickets were sold for the event — about 90% capacity. A few adults were heard to ask, “Who’s Greyson Chance?” as they entered the lobby and and saw the posters by the souvenir booths. 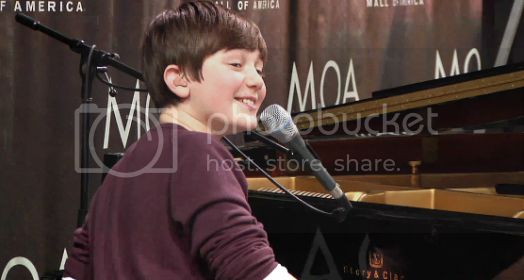 They certainly knew the answer to that question by the time Greyson had finished his set. His signing line stretched halfway across the very large lobby, down a flight of stairs, and ended up somewhere in the basement of the facility. 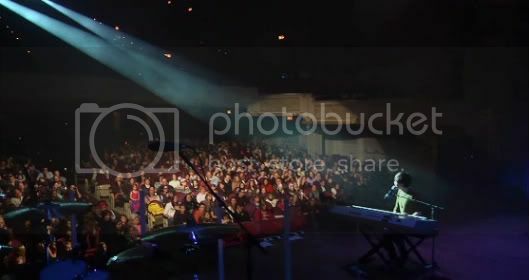 There were LOTS of preteens at the show to see Miranda do to the popularity of her Nickelodeon series. 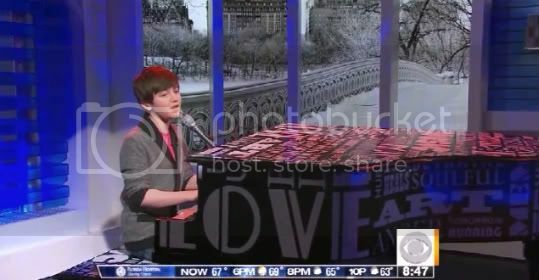 Notes: Prior to his performance at the Rosemont Theatre, Greyson stopped by WGN Morning News in Chicago. 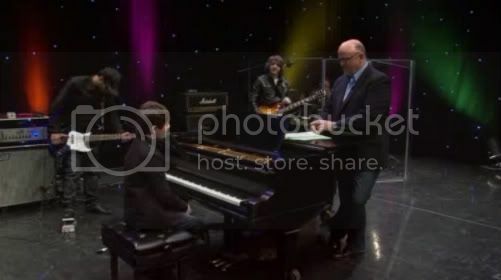 He was interviewed, played ‘Waiting Outside the Lines” with the band and then played “Fire” solo on the piano. 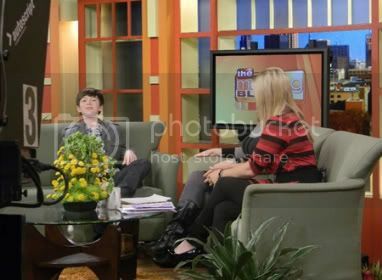 Notes: Following his show the previous night at the Pabst Theater, Greyson made an appearance on The Morning Blend, a Milwaukee morning show. 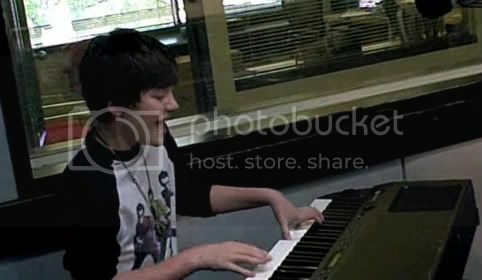 Greyson was interviewed and then played his cover of “Fire” and “Waiting Outside the Lines” on a keyboard in the studio. Notes: Following his first performance on tour in Kansas City the previous night, Greyson stopped by the Mall of America to perform a solo acoustic set and sign autographs for fans. 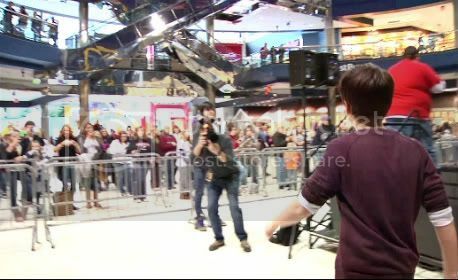 His day in Minnesota was captured by camera crews and a video of it was uploaded to his YouTube channel. 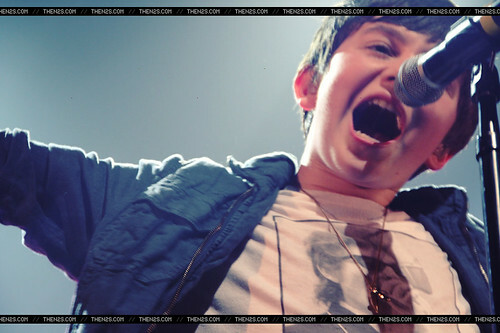 Notes: The opening show of Miranda Cosgrove’s Dancing Crazy Tour where Greyson performed as the opening act. 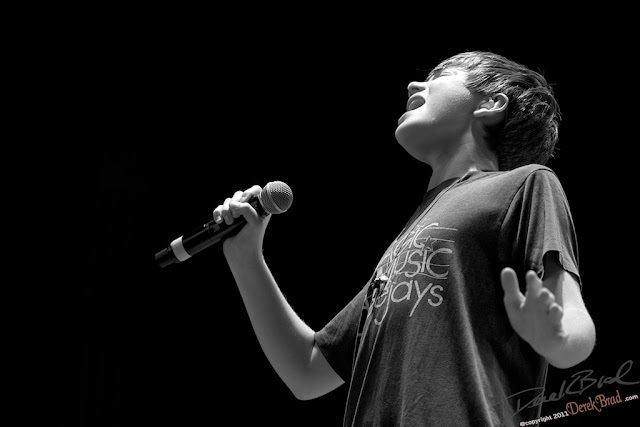 Notes: For his first performance of 2011, Greyson was back home in Oklahoma performing at the “Fun for Families” event at the Science Museum Oklahoma. This event was one of the many pre-inaugural events being held around the state before Mary Fallin was to be sworn in as the state’s 27th, and first female, governor. Governor-elect Fallin told Greyson that “we wanted you [to perform today] because you’re an Oklahoman. 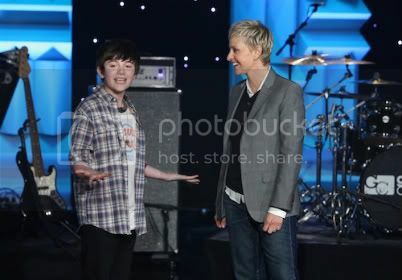 You’re an inspiration to all the other children that are here today.” Greyson said he was very honored to be performing at this event and that he will always remember it. The setlist for this event may be incomplete.